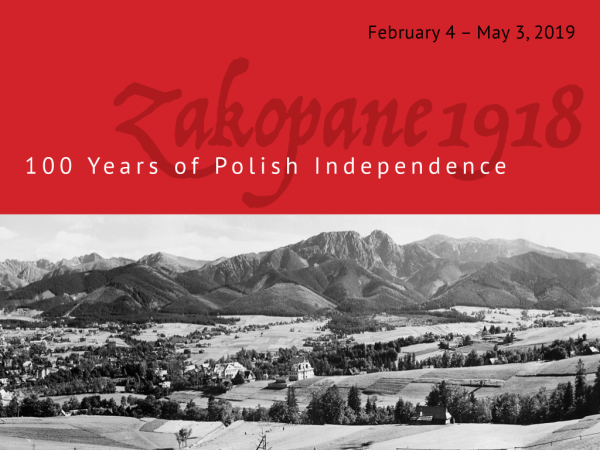 “100 Years of Polish Independence: Zakopane 1918” is an exhibition of photographs from the archives of the Tatra Museum in Zakopane, Poland. It tells the unique story of the short-lived Republic of Zakopane, which was established in the concluding weeks of the First World War. The Copernicus Program in Polish Studies has curated the exhibit and organized public lectures in collaboration with the Tatra Museum, the Adam Mickiewicz Institute in Warsaw, and Culture.pl as part of POLSKA 100, an international cultural program commemorating the centenary of Poland regaining Independence. It is financed by the Ministry of Culture and National Heritage of the Republic of Poland as part of the multi-year program NIEPODLEGŁA 2017-22. The International Institute’s centers sponsor numerous conferences, lectures, exhibits, and cultural performances throughout the year. These events are designed to educate the university community and the public about global issues and inspire discussion and dialogue.